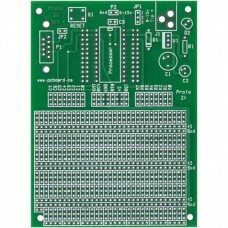 The Proto-40 is a general-purpose prototyping platform to evaluate Microchip PIC based microcontroller products. 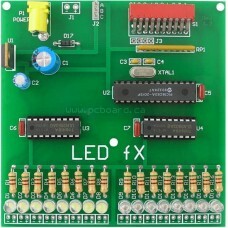 Supported devices include most of the Microchip 40-pin devices including the PIC 16F877(A), 18F442, 18F452 and others. 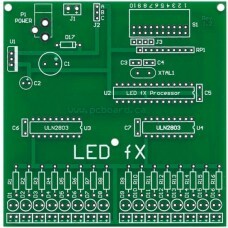 Included onboard is a full peripheral set including a header for in-circuit programming of flash devices, true RS-232C serial input/output with mounting for an onboard DB-09 connector, regulated power supply circuitry, reset circuitry and over 700 plated-through holes on the prototype surface. 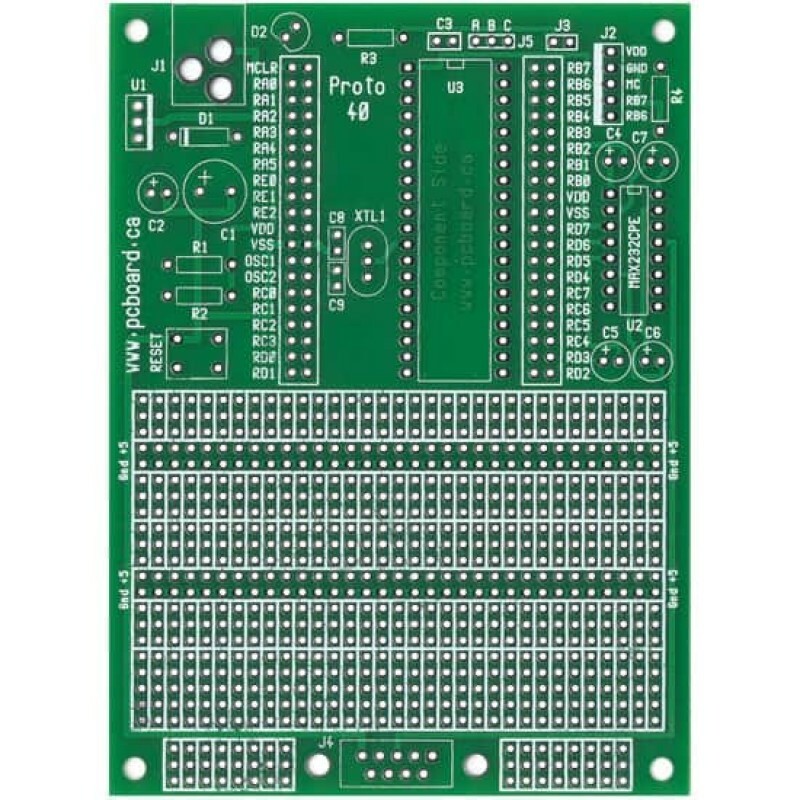 The Proto-40 is a high quality prototype board, complete with solder masks on both sides of the board, plated holes along with a high-contrast silk-screen labeling component positions. 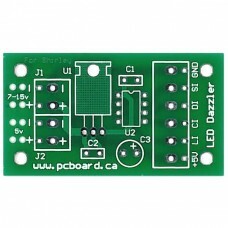 Board size is a compact 3 5/8" x 5" (9.2cm x 12.7cm) ready to fit into standard size project cases such as the Radio Shack ABS plastic project case (270-1806 or 270-1807). 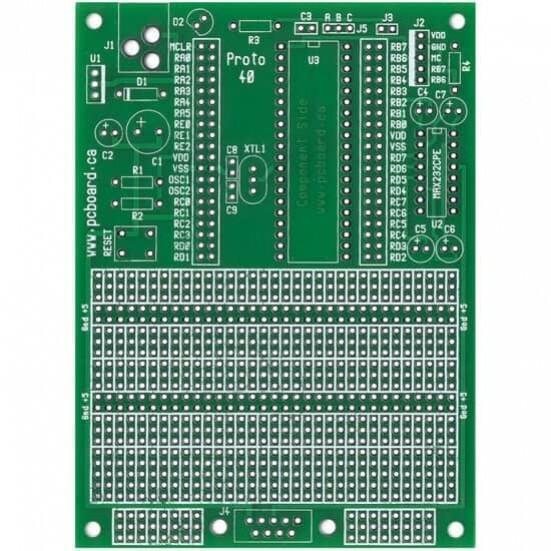 Designed for the experimenter, the Proto-40 Prototyping board provides a large area for user-designed prototypes, using wire-wrap or point-to-point wiring. All connections are routed to individual wire-wrap points. For more information and technical details on the Proto-40, please visit our Support Site. This item includes the bare board. No components are included. 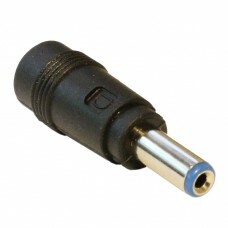 Please see our other kits for units with full component options. 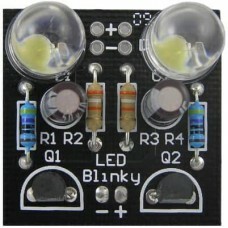 The LED fX is an extremely simple and effective design - specifically engineered to control 16 indiv..